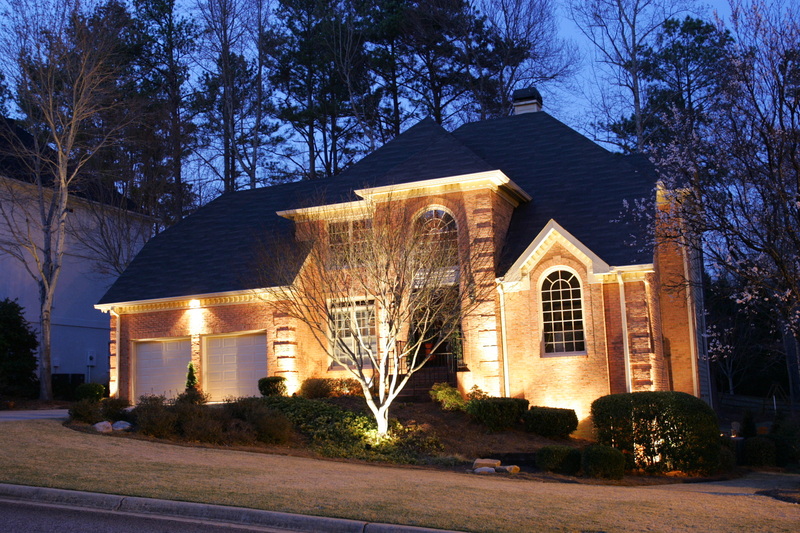 Landscape lighting extends the usefulness of your property well into the night. While improving curb appeal; lighting also creates atmosphere, increases safety and security, and expands outdoor living spaces. Aqua Turf offers the highest quality and largest selection of low-voltage lighting products and materials available. Low-voltage, outdoor lighting is safer and more energy efficient than standard line voltage systems. Because low-voltage lighting uses a 12 volt transformer, there is little danger from damaged fixtures or cables. Additionally, it is less expensive to install and costs far less to operate than high voltage systems. 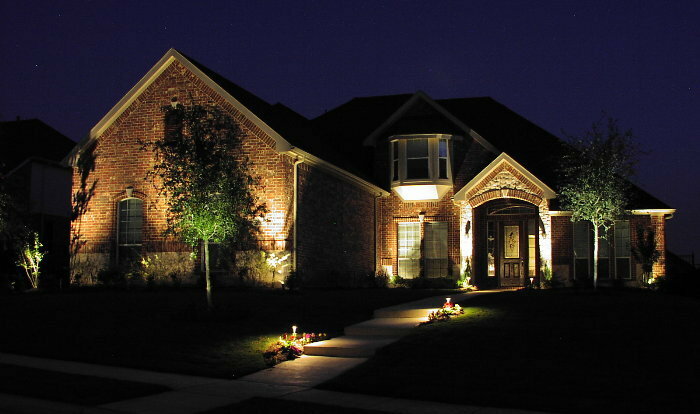 Our electrical department is well trained and capable of handling all landscape lighting system design and maintenance. We are also working with different companies to offer state of the art home automation systems and integration. With “Smart” applications finding unique niches in almost all aspects of modern life, we feel it is important to offer options such as these when designing a lighting system. The convenience of being able to create custom lighting schemes for different occasions, and actuate security lighting from remote locations are just two reasons wifi enabled lighting systems are appealing. You can be assured we are committed to the lasting satisfaction and long-term upkeep of your lighting project. Please give us a call or send us an email for a free estimate or property evaluation.